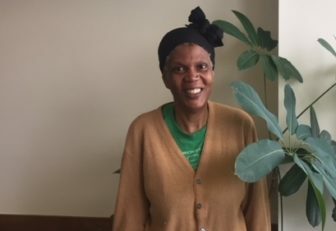 Washington – Wendy Allen of New Haven has so little income she pays the minimum rent under a public housing assistance program, yet that modest fee would triple under a proposal championed by the Trump administration. Allen, 60, who worked as a home health aide before she was injured in a bus accident earlier this year, pays $50 a month for her one-bedroom apartment in a public housing complex. The Trump administration wants to triple that minimum rent to $150 a month, and increase the rent from others who get help with housing from 30 percent to 35 percent of monthly income. The administration’s proposal also would disallow some current deductions – for medical expenses, child care and other things – that help elderly and disabled people and low-income families reduce their rent. It also would allow state and local housing agencies and private owners of subsidized housing to evict or end rental assistance to people who don’t work a specified number of hours. Housing advocates say if Congress approves those changes to federal housing policy, many low-income people will be forced to choose between buying food and other necessities and putting a roof over their heads. They also say there could be a return of significant homelessness in Connecticut, a state that is proud of its progress toward eradicating that problem, if poor people are forced to pay more for rent. On Thursday, the Connecticut Coalition to End Homelessness issued a report that said there has been a 25 percent decline in the homeless population in the state since 2007. The report also said that nearly 75 percent of those counted as chronically homeless were in the process of securing permanent housing. Since her accident, which resulted in a broken wrist and other injuries, Allen has been dependent on financial help from her son, who lives in Hartford. “There is no other income coming in at all,” she said. An increase in her rent would strain her son’s ability to help her, Allen said. The Trump administration’s new housing plan does not make sense to her. But Allen is confident her personal situation will soon change and that she’ll be better able to take care of herself. The liberal-leaning Center on Budget and Policy Priorities says as many as 67,000 Connecticut households could be affected by the proposal, released first by President Donald Trump in his 2019 budget proposal and put into legislative form as the “Make Affordable Housing Work Act,” by Housing and Urban Development Secretary Ben Carson last month. In a conference call with reporters, Carson said government spending on housing increases every year, even as only one in four eligible families receive housing benefits. The rest remain on the waiting list for years and may never receive help. Will Fischer, a senior policy analyst with the Center on Budget and Policy Priorities, said the proposed rent increases “would harm some of the most vulnerable people in the country,” and fail to reach the Trump administration’s goal of putting more people to work and enhancing self-sufficiency. Gov. Dannel Malloy and Connecticut Department of Housing Commissioner Evonne Klein also slammed the proposal. Klein said many of those who would be affected are working poor who already have jobs. “By tripling their rent, it will not put those families on the road to self-sufficiency. Rather it will put them on the road to homelessness,” she said. Nancy Hronek, a housing attorney with Greater Hartford Legal Aid, said the housing plan would “extract money from people who have nothing.” She said some of her clients have had trouble coming up every month with the $50 minimum rent that is required of those with little or no income. “Connecticut has made great strides in eliminating homelessness, I can’t see how this can help,” Hronek said. There are several ways HUD subsidizes housing for low-income people. The most popular HUD plan is a voucher program that allows those who qualify to find their own housing, including single-family homes, townhouses and apartments. According to the Connecticut Department of Housing, there are more than 20,000 federal housing choice vouchers being used in Connecticut. To qualify for a voucher, an applicant’s income may not exceed 50 percent of the median income for the county or metropolitan area in which that family or individual chooses to live. Like other housing programs, the waiting list for a federal voucher is long and is often closed to new applicants. There are also public housing complexes as well as privately owned homes and apartments that receive HUD rental subsidies. The state also has a rental assistance program. Before the bus accident forced her to quit work, Allen paid $323, or about 30 percent of her monthly income, in rent. She knows her rent will jump up again once she starts earning money and says she can handle it. But if the Trump administration increases her rent, that could be a problem, Allen said. “I’ll have to do another budget. And it will be hard,” she said.